The general secretary, born 3 October 1936, is an Egyptian diplomat. Since 2001 he has been the Secretary-General of the Arab League, a 22-member forum representing Arab nations. Now he said for the first time officially, that he is going to be one of the candidates of the next presidental ellection in Egypt. Since last week it has been known that he resigned from his office. Since then he is said to be one of the possible candidades for the Egypt president office. The military of Egypt is going to organize an ellection within the next six months after the resignation of president Mubarak. Now Martijn, I would like to be ahead of the time. 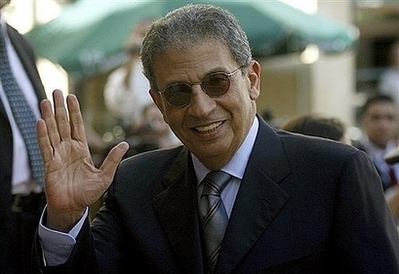 My first choice for president is : AMR MOUSSA. I'm shure he will be a real potetial ruler and more level-headed than Baradai. He has all the signs to be President. Though one still does not see him on the political stage this time. But his fate is clearly destined to be a ruler.